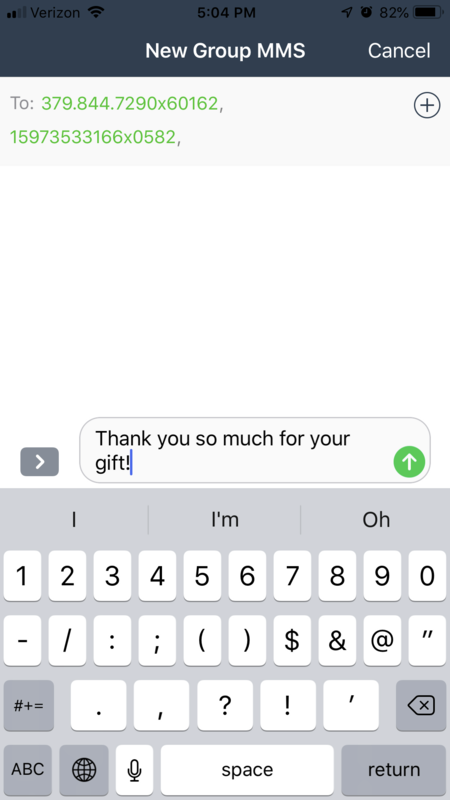 Your volunteers have the ability to send text messages to their assignments using the Volunteer by EverTrue iOS application. This can be useful to connect fellow classmates and communicate updates on behalf of the institution. Looking for how admins can message their volunteers? Check here. To start, Volunteers should select one of their pools. Then, look for the message icon in the top right corner of the screen. 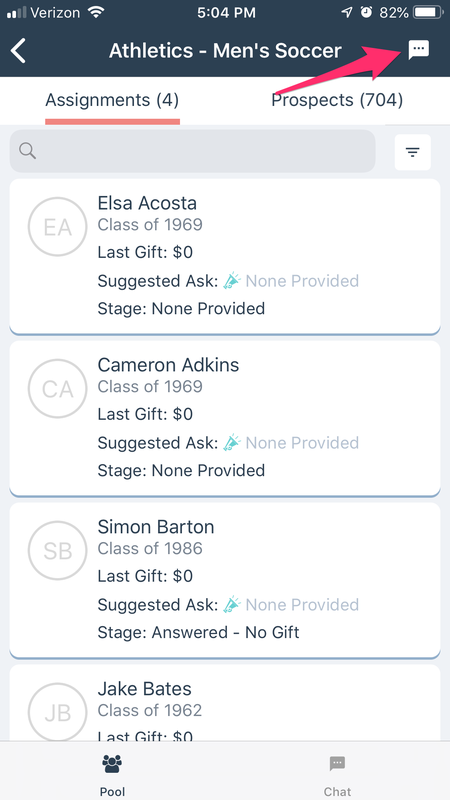 Volunteers will then select names of their assignments and initiate a group text message. 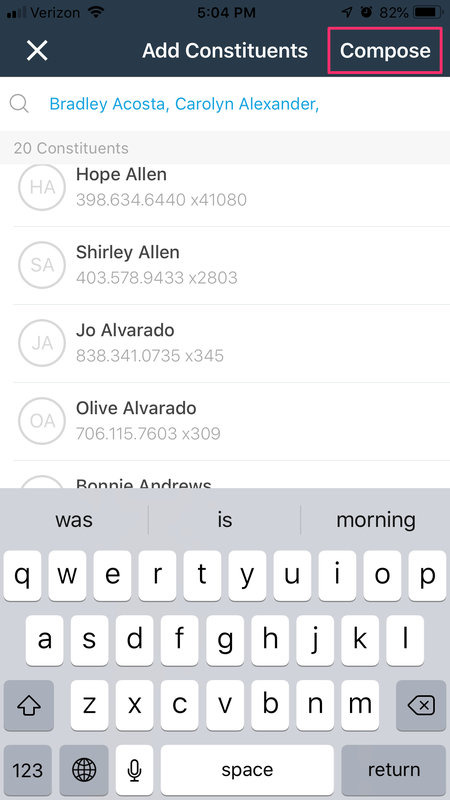 Once they select the recipients of the message, the feature uses the native iOS Messaging app to send the message. The user is responsible for entering their text and sending the message. The Volunteer application does not automatically log that the text was sent. This feature is currently in Beta, which means that we are still making adjustments to it. It is also only available on iOS. If you would like to enable either of these features, reach out to genius@evertrue.com.